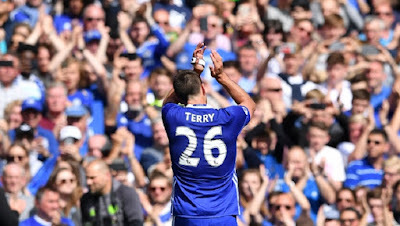 John Terry leaves Chelsea to a fantastic and well deserved ovation. He will be irreplaceable. I turned to my mates in the Matthew Harding Lower applauding with me as he was substituted in the 26th minute and said "This is the end of an era" and I truly meant it. Petr Cech, John Terry, Frank Lampard and Didier Drogba, the cornerstone of our success, the inspirational core that everything was built around that went on to achieve so much is no more and we all feel it. 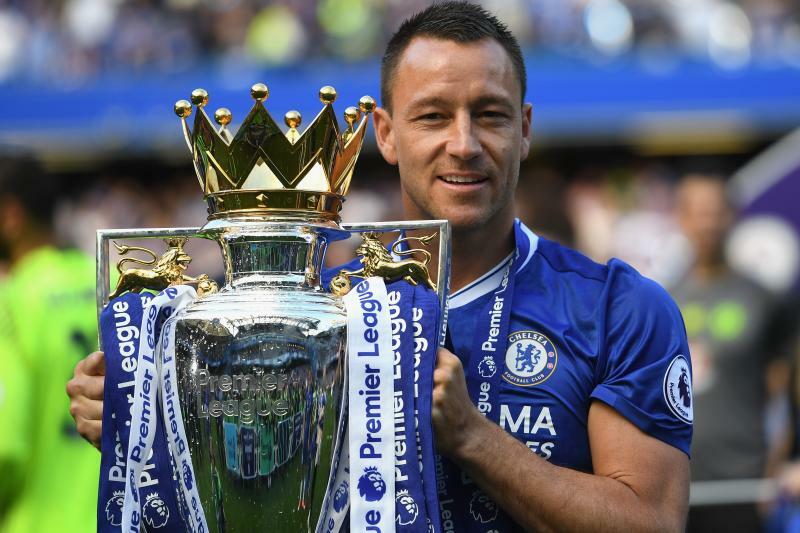 I have had the privilege to stand there and watch our team come through the most successful period of our history led by one man - John Terry. He was our Captain, he was our Leader and he is a Legend. He was one of us on that pitch, someone who lived and breathed Chelsea and represented the supporters. He was the first after a game, no matter what conditions or result, who would make sure that the players knew to go over and salute the supporters who had supported them through every single ninety minutes. He knew how much this club means to us and to him and he made sure that each and every single player that came into the club understood. Chelsea fans like me have been blessed to have had John Terry as our captain. Someone who gives everything to win, someone who gives everything to keep clean sheets, someone who demands the same from his team mates and from everyone around him at the the club. Most importantly of all, he is someone who would put his body on the line for the cause and that has been outstanding. John Terry has been the best defender in the Premier League era without question and that's not just me saying it because he is Chelsea, you hear the likes of Jamie Carragher and TV pundits state the same. He has won fifteen trophies at this club with Arsenal on Saturday possibly being his sixteenth which is a truly incredible record. He has literally won it all and deserved the send off he received from all of us yesterday. 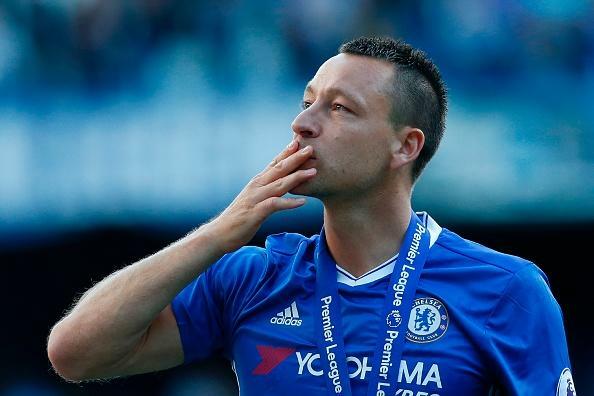 Thank you John Terry. You said in you speech standing in front of us in the Matthew Harding yesterday that there simply isn't enough words to describe how you feel about us and it's the same on here although I've tried. You will always be OUR CAPTAIN, OUR LEADER, OUR LEGEND.